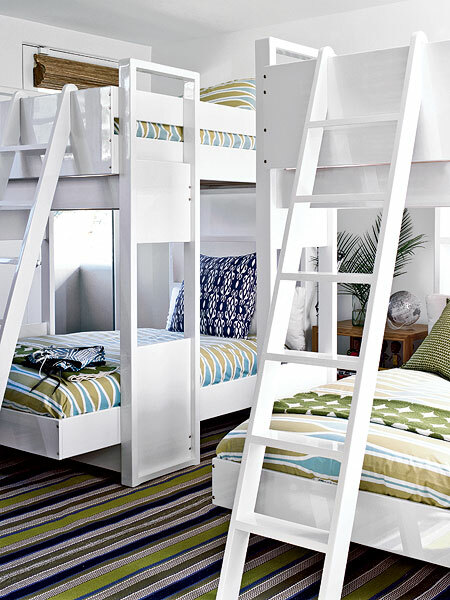 Mix and Chic: Beautiful and contemporary bunk bed inspirations! Growing up, I had to share a bedroom with my younger brother. I was extremely happy when my parents purchased a bunk bed for us. 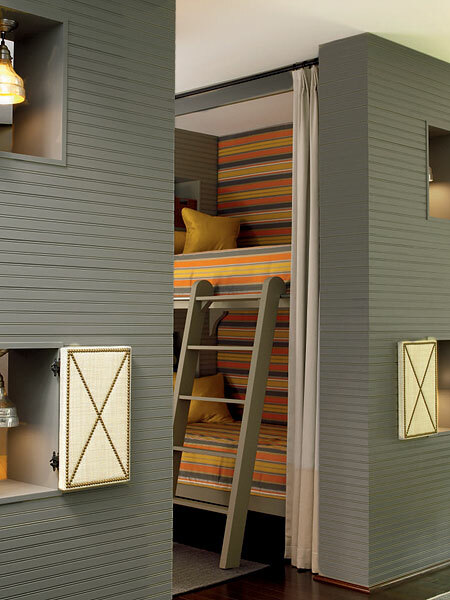 I remembered getting very excited when I first saw the bunk bed in our room because I imagined it must be fun climbing up and down the ladder and we would have our own special place all by ourselves. Unfortunately, my parents decided to separate the bunk beds into two twin beds for our safety. I was crushed. 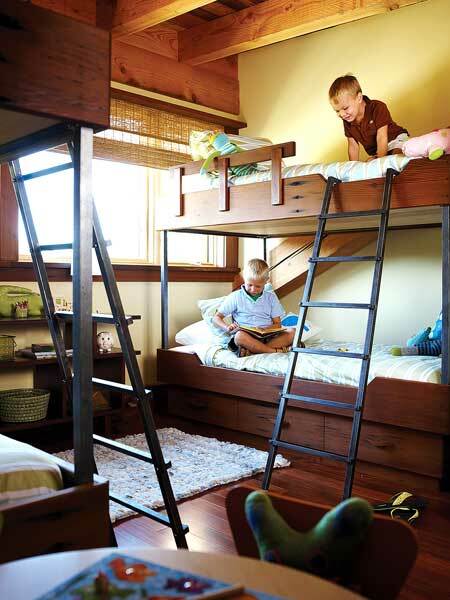 The bunk beds were never stacked up at all and I never ever experienced the fun and joy of having a true bunk bed. Anyway, the beauty of getting a bunk bed is it is not only a wonderful space saver especially when two children are sharing a room but it also helps to spark a child's imagination. 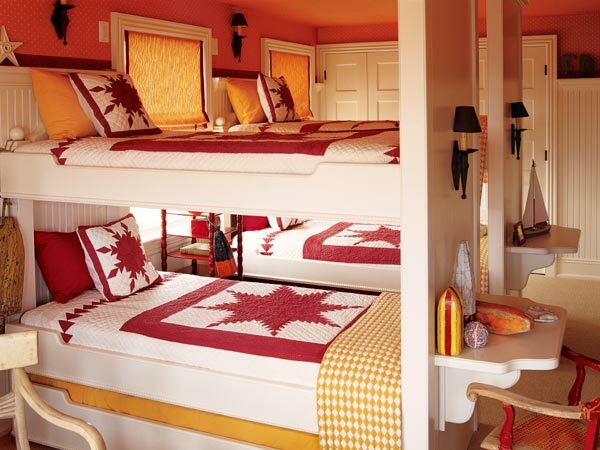 Now, let's take a look at some gorgeous bunk bed designs I found today. 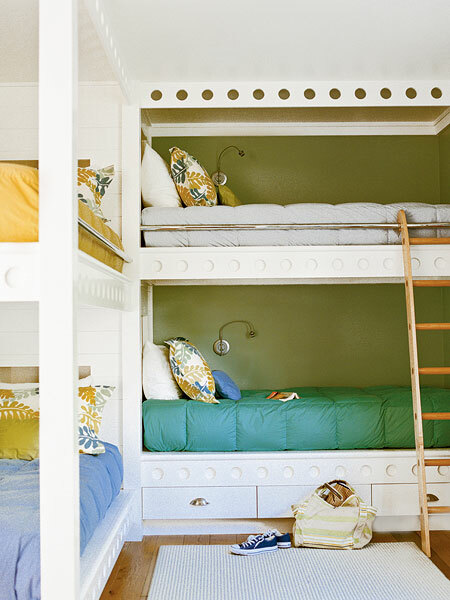 A beautiful post and bunk beds have come a long way. I did share a room with 2 sisters for a few years as a child, we had a large room, with fireplace, one double wrought iron bed and a single wrought iron.There were two large windows in the room and window seat. Those were some of the happiest times and oh yes, our baby brother Thomas often would sneak in at night and when we awoke in the morning we would find him huddled in beside the person in the single bed. I can certainly relate to your sharing your bunk bedded room with your brother. I always wanted bunk beds when I was young but I am an only child so it was never an option ! All these rooms are so cute. 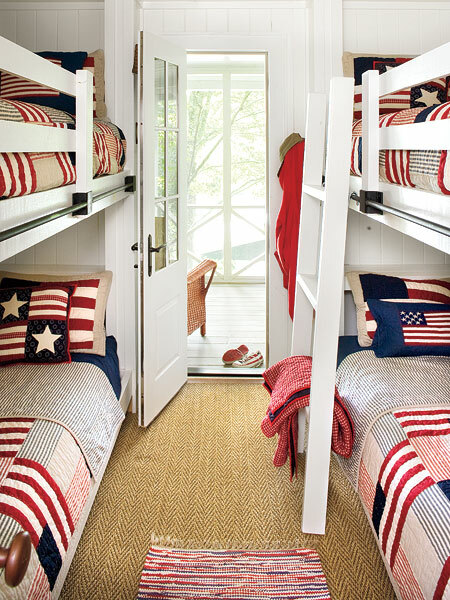 I guess it is my child self, too, that always loves when I come across a bunkbed image! I still think sometimes that if I move into a really small place, I'll do the bed over office 'bunk' scenario. There's just something about a bed up so high, seems like a fairytale! I had bunk beds too growing up as we are a family of 6 kids. These are lovely, I wish mine looked as nice as these! Great inspirations! They are all really great but my fav is definitely the fourth one with the primary colors and the alphabet! 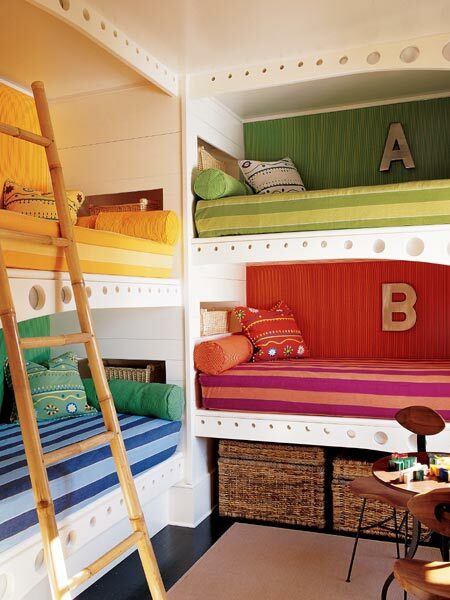 That gives me lots of ideas on how to decorate a child's room, excellent color scheme. These are absolutely so cute! We love all the color and the great use of space! Thanks for the inspiration! this is so great. an idea for when i room with a friend!